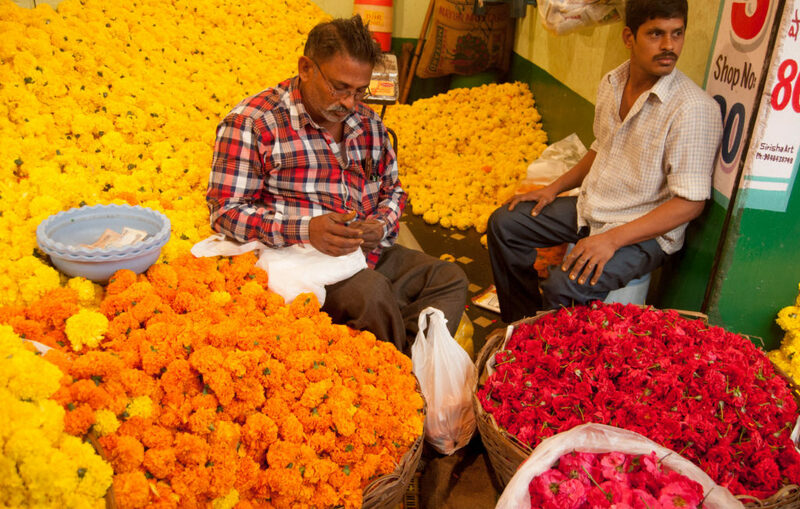 We in the cities are so rushed up; flowers never fill the fragrance of our days; we never find time to enjoy flowers. For, myriads of the young generation past and now they eulogize rose flower as a twig of love. 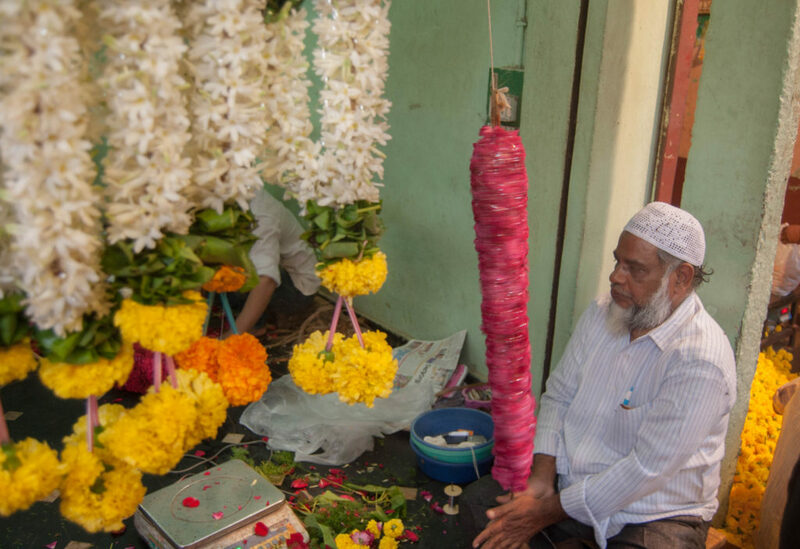 Barring this phase of life, the chances of flowers making us happier a fact we never bother to confess. 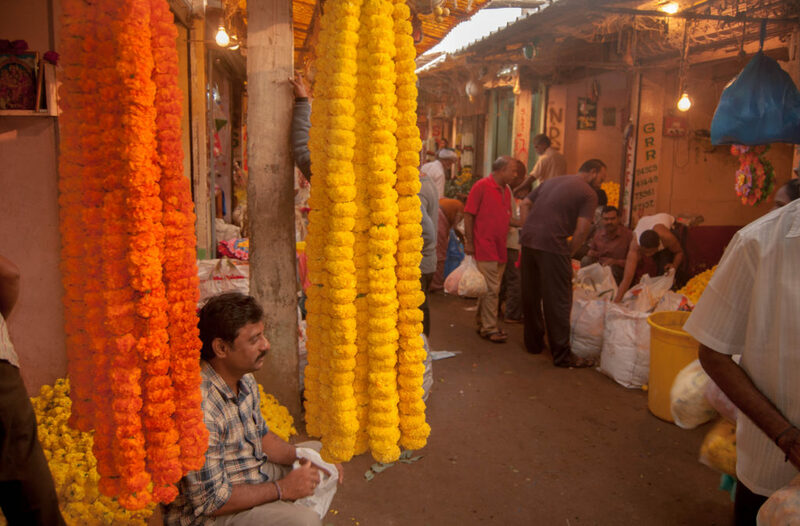 It would sound strange for many when I announce Vijayawada city has the largest flower market in Andhra Pradesh. 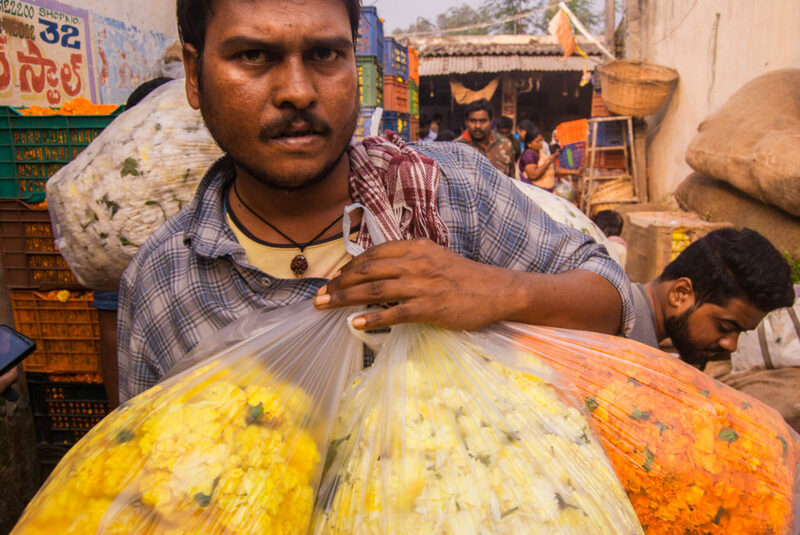 It takes an effort to locate, much harder to enter the market. The Government built a 2X3 meter juxtaposed cubicles. 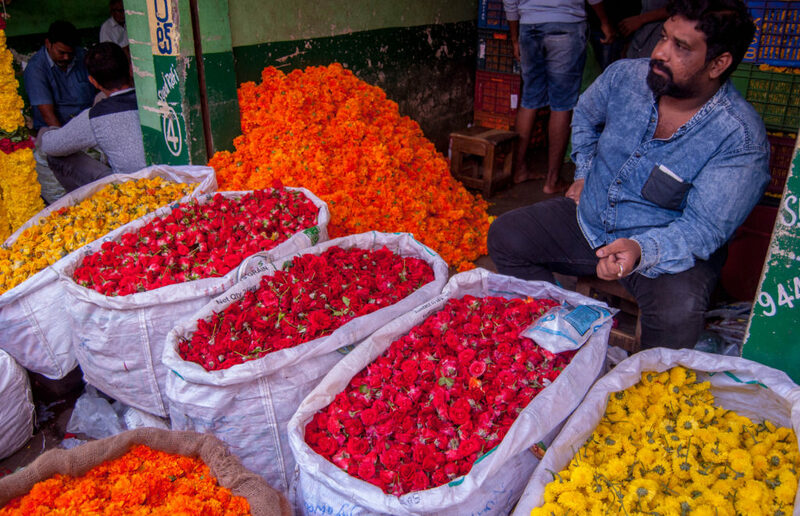 These rectangular units faced each other in two rows with enough space to display the wares, hardly any space left for the ‘flower’ patrons to smell their way. 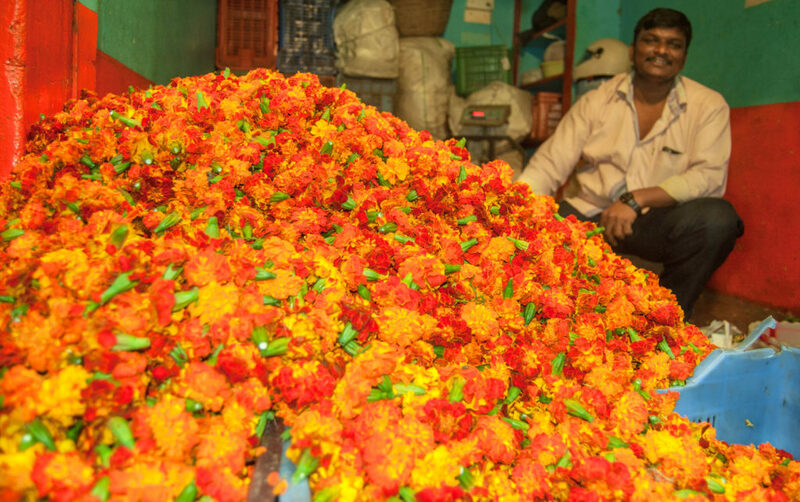 The flower market attracts thousands of sellers each day. 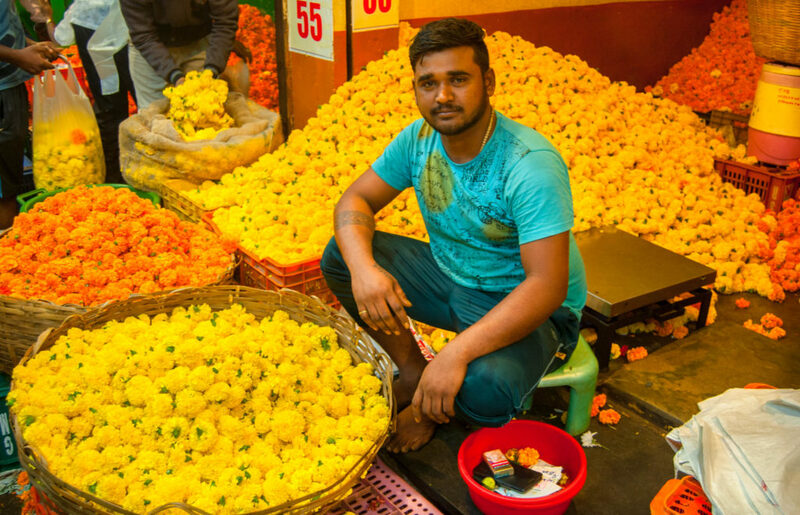 ‘Anywhere within 200 km, people come as early as four in the morning to select the freshest of the lot’ a trader speaks with a hint of a pride speaking about the significance of the wholesale market. 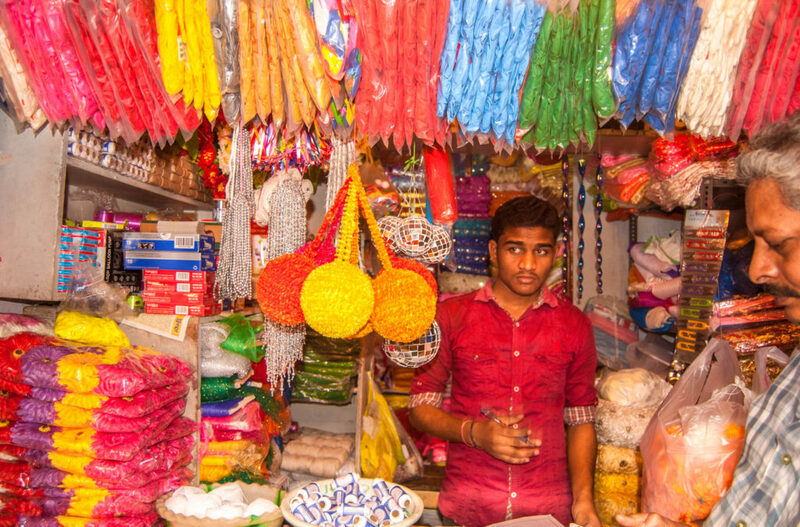 He lowers his voice, when I enquire about his daily turnover, on any day in the festive season, his sales touch five lakh rupees. 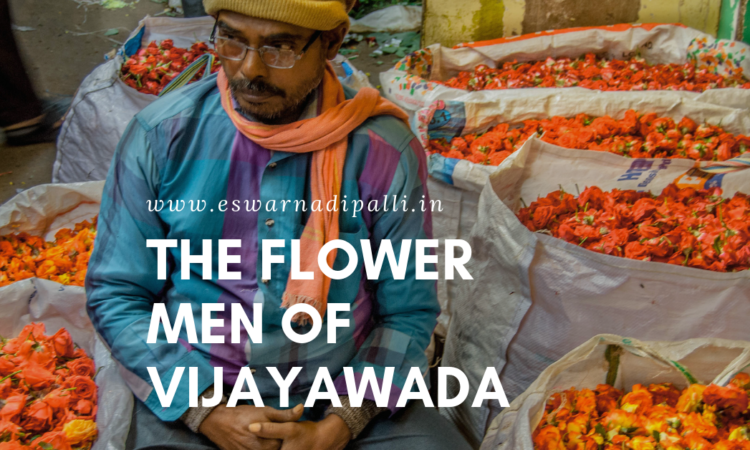 The flower men of Vijayawada posed for me magnificently squatting among little mountains of roses, marigolds, white chrysanthemums, jasmines, dahlias, and lilies.